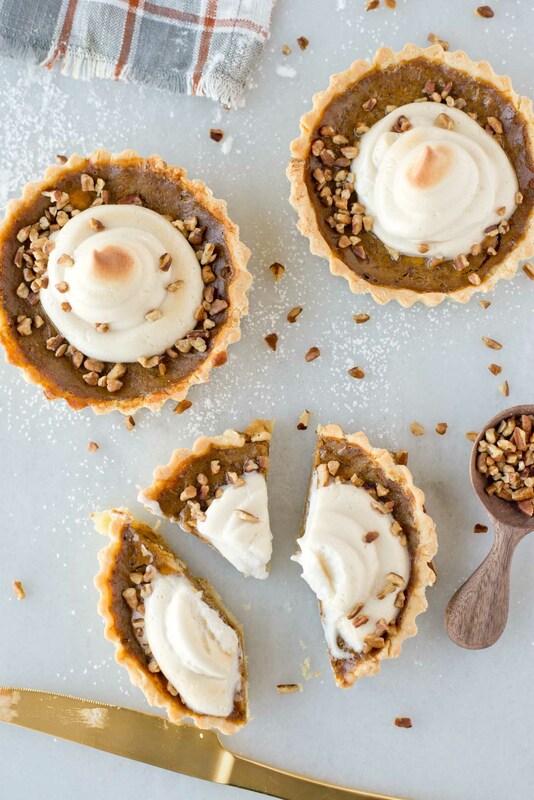 What good is Thanksgiving without pumpkin pie, specifically healthy paleo pumpkin pie tarts? Next to the big bird this has got to be one of the most traditional foods there are. Sometimes I wonder how much people actually enjoy pumpkin pie or if they just do it in spite of the holiday season known for non other than pumpkin? I mean it’s pretty rare when you see pumpkin pies being made randomly throughout the year (correct me if I just live in a bubble). But if you’re like me its time for a twist. 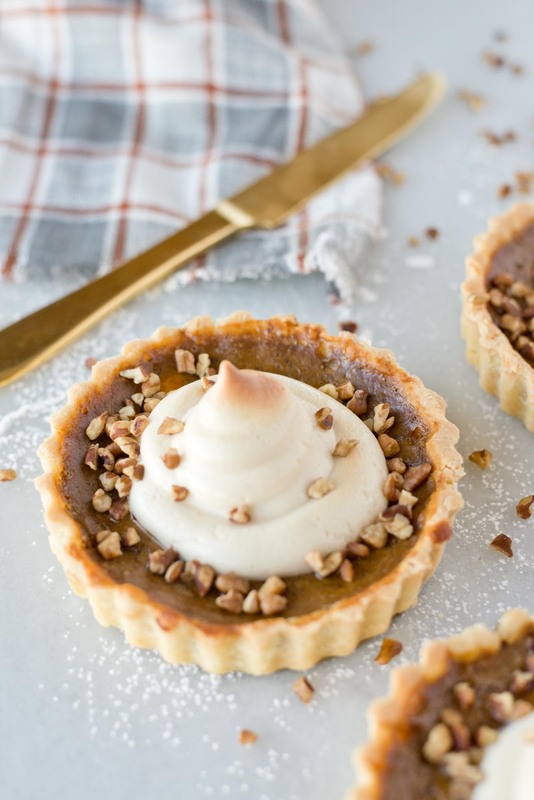 To change it up, attract attention to the otherwise generally speaking monochromatic pumpkin pie. 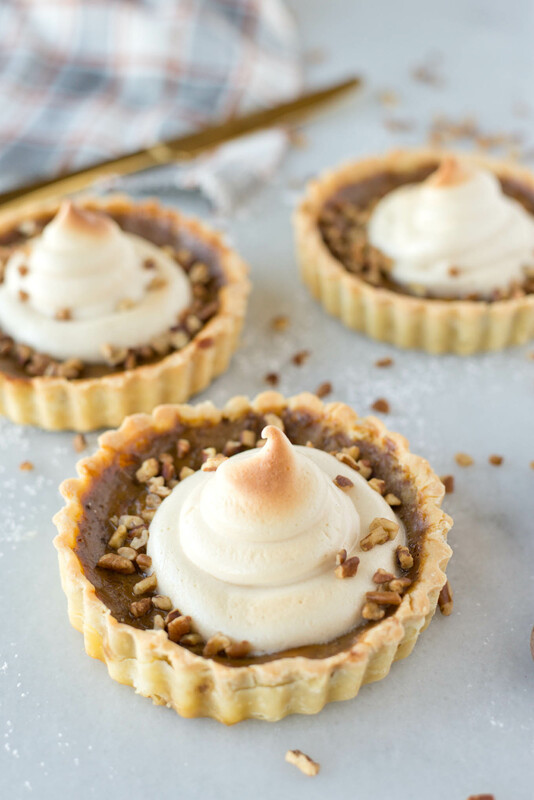 With the same great flavor yet in cute little tarts topped with toasted marshmallow cream these babies are sure to stand out, even next to the overly large bird or the frosted chocolate bars or in my hubs family the best dessert ever made in mankind, kuchen. I’ve never attempted kucben and if you don’t know what kuchen is I wish you could. I mean his family does it so good its not even worth attempting. Some things are better left to the professionals. Basically it is perfectly squishy dough, twirled with fruit marmalade and drizzled with frosting. Kind of like a very moist version of a kolach in sheet cake form. Ugh… apparently there are no words. While I don’t know if anything can stand apart from that, I also doubt that Kuchen is a tradition in the average family. 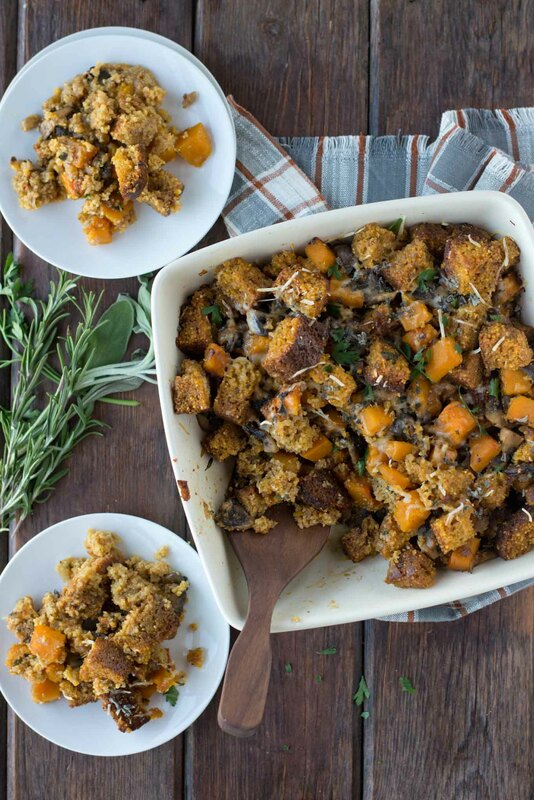 So we’ll stick with pumpkin pie for the time being. So back to attracting attention. It’s all about the appearance. I mean you have to lure them in first and the cuteness of small things generally does that. Plus they think they are like saving “calories” or something and tend to eat more. 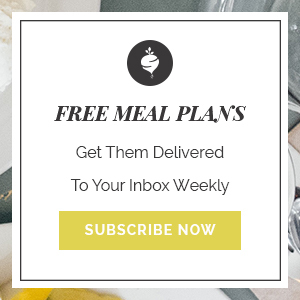 Oh wait… why am I promoting small things? I guess this should bring us to a little quick healthy Thanksgiving tip. You should generally fear small things because it makes you believe you can eat more so you do. Through this you eventually end up stuffed like the Thanksgiving bird. 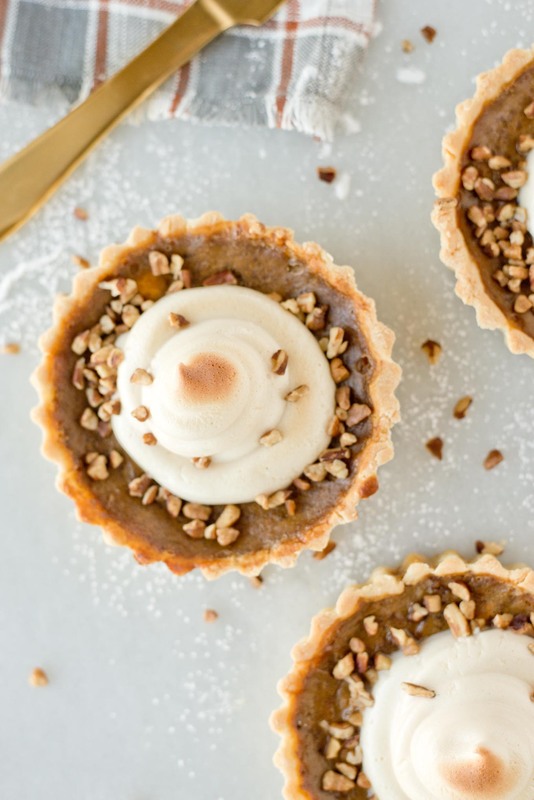 Buuuutttt… when its something healthy and refined sugar free and full of pumpkin, this small wonder is mostly a better alternative to the other sugar laden desserts. With that, we still need to remember to be mindful. But in all seriousness willpower is only going to get you so far. In fact, for must of us willpower won’t get us very far at all. Willpower acts as a muscle which can become fatigued when used too often. So if we start using willpower in the wee morning hours of the day, most likely by the time the stress of the big meal is over, you have zero willpower left in your meter and dessert is free game. I mean you deserve it right? Wrong! We don’t deserve anything. Remember health is a choice, not a matter of being good and/or bad. It isn’t based on our actions but our thoughts. The only way you will walk away (pant buttons in tact) and feeling energized is if you REMEMBER and consciously choose to feed your body well. Remember the reason you want health. The way good nutritious food makes you feel and what the alternative does. It’s not a matter of saving anything, or just depriving yourself. It is a daily conscious choice that you MUST make to win this game of food and come to a place where food is just food. It isn’t something that has control over you. You control it and you succeed. So to overcome willpower is to practice habits. We’ll get into this next week but the bottom line, it’s never too early to start laying a foundation. Working each day to just feel better in support of your health. It’s not a calorie issue or a number on the scale issue. It boils down to a quality issue. The better the quality of your foods, the less processed and sugary foods you eat, naturally the healthier your body will be. Stop fighting yourself and start living. End of rant… well look for more later this week… but end rant for today. Okay, how evil of me to bring up willpower with this beauty in front of you. Remember I don’t post desserts on this site to make you think that any and all amounts are okay to eat. No, this is just to show you healthier options, that taste good and in some cases have a micro nutrient composition. It’s not a free for all. 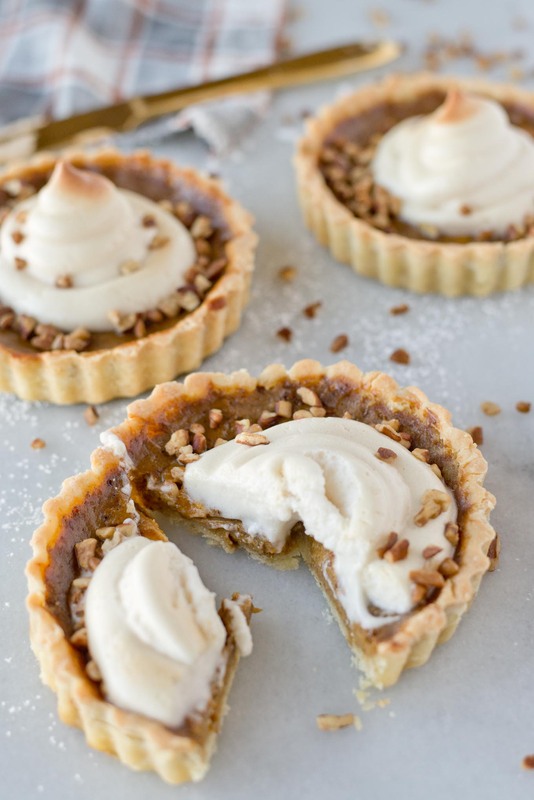 Regardless, I can assure you that in making these paleo pumpkin pie tarts, you are going to attract some attention with the sheer cuteness, the delicious flavor will keep pulling them in and the uniqueness of that toasted marshmallow cream will set it all over the top. It’s the small things in life. 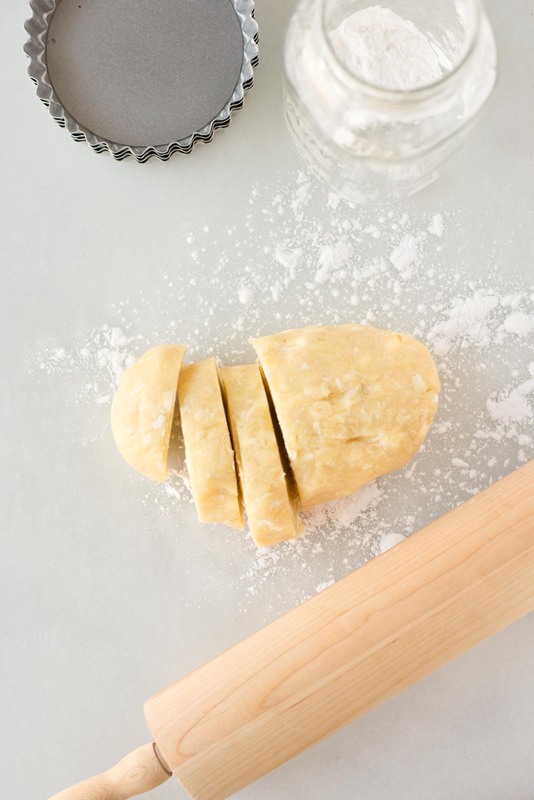 Make flaky pie crust and refrigerate. Turn oven to 350 degrees. Prepare tart pans (if needed). In a large bowl, add all ingredients and beat with a hand mixer until smooth. 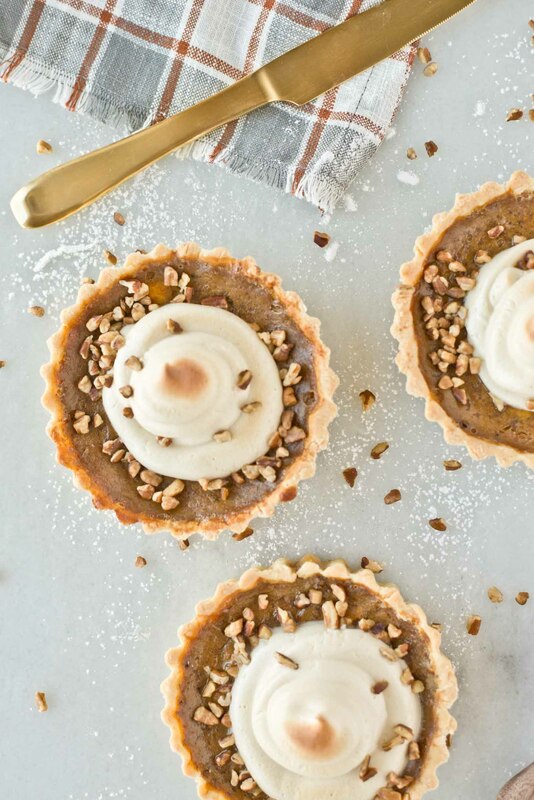 Form pie crust into tarts and pour almost to the top with pumpkin pie mixture. Bake for 45-50 minutes or until just beginning to crack on top and no longer wiggly when you touch it. Top with toasted marshmallow cream (found in my exclusive FREE thanksgiving guide) or whipped cream. Oh yea… and that marshmallow cream. 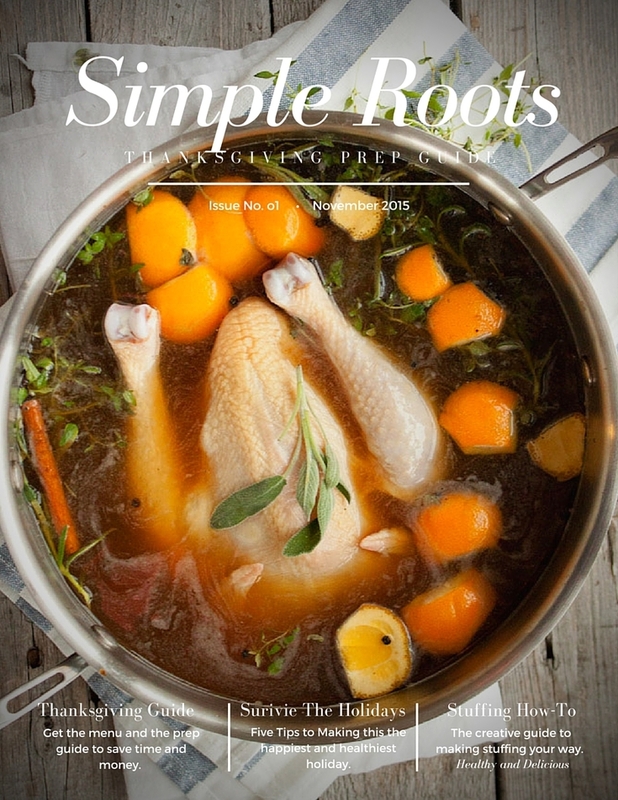 Yes, it is an exclusive recipe in the Thanksgiving Prep Guide. You can grab it by clicking on the image below. You don’t want to miss it and don’t worry the entire thing is free and stuffed full of love (I just can’t get over that pun).